We specialize in small - to large-sized businesses for sale in Naples, Florida. Our business listings include a variety of businesses for sale in and around Naples, FL. Business Brokerage Solutions has been an Florida business broker since 1991. We offer a full range of professional brokerage services to help you buy your next business in Naples, FL. Contact Jim Straza today! 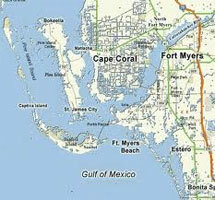 Naples, Florida is located within Collier County, the largest county in Florida. Collier County features one of the best business climates in the nation. With its geographic location, climate, transportation system, tax structure, quality of life, and skilled workforce, Collier County, Florida is a foremost business destination in Florida. Our business for sale database includes businesses for sale in Naples and surrounding areas. With Business Brokerage Solutions expertise in the Naples market, we can assist you in every phase of the business acquisition.Find a Naples business for sale in Southwest Florida.